Exercise has more benefits than we could ever list in a blog article. You’ll look better, you’ll become more confident, and you’ll maybe even live longer if you hit the gym. 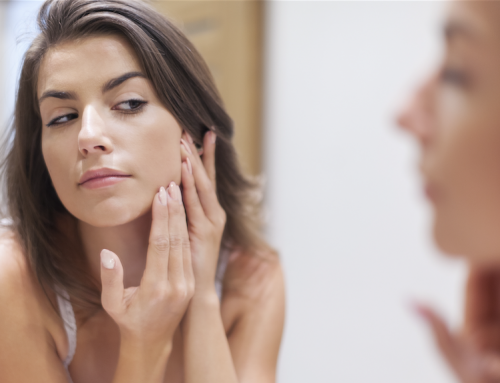 Unfortunately, many people claim that working out has caused breakouts! That’s right, while there are many benefits to working out there are still people saying the acne isn’t worth it. 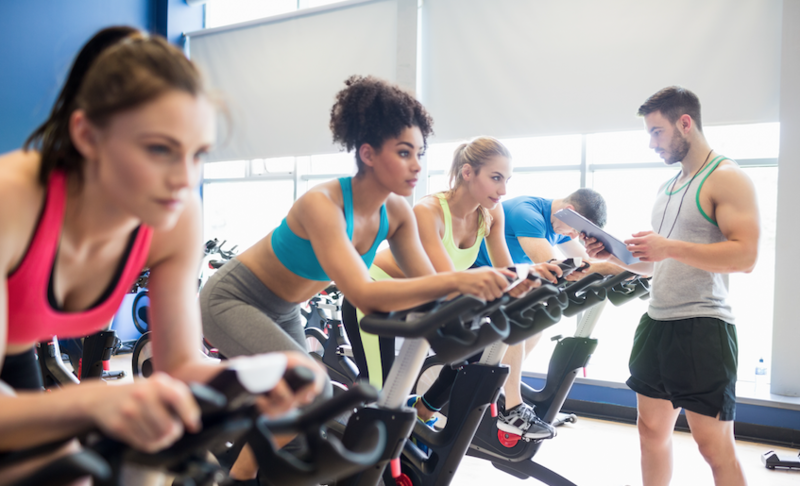 While working out and getting your blood pumping does affect certain hormones, which MAY cause acne, exercise also triggers hormones that prevent acne such as reduced stress and better sleep. Although, common sense says that it’s very likely that exercise should cause acne. After all, gyms are filled with sweat, bacteria, and warmth. To get the best of both worlds, here are a few ways to achieve the benefits of working out with as few pimples as possible. Gyms put showers in their facilities for a reason. Use them. Use a gentle cleanser that fits your skin type and scrub all of that sweat and bacteria off of your face as soon as you’re finished in the gym. 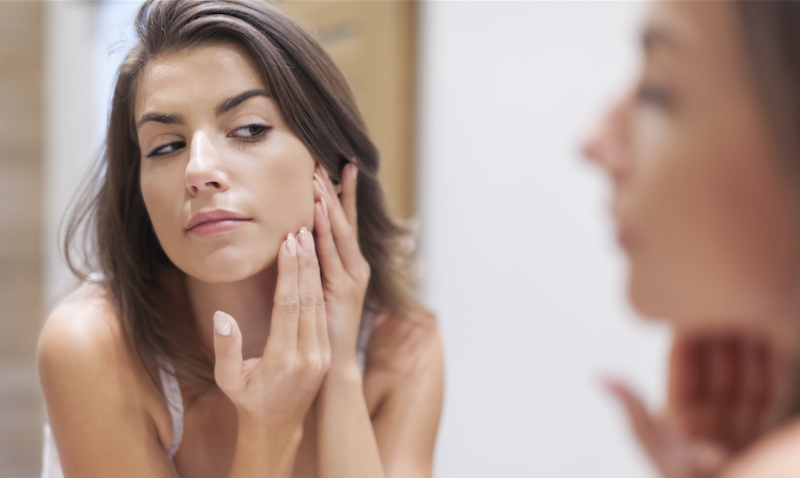 Bacteria mixed with sweat in your pores can be a recipe for pimples. To prevent pimples you want to exercise wearing loose-fitting clothes. You want to purchase and work out in fabrics that are designed to wick moisture away from your body. Some popular brands such as Nike, Lululemon even offer clothes with antimicrobial properties. Many facilities these days offer antibacterial wipes. Use these wipes and go over the equipment before you work out. Think about wiping down anything that will touch your hands or skin. You may also want to be courteous enough to wipe down the equipment after you are finished using the machine for the next person. If you are an excessively sweaty person make sure you bring a towel. A towel is good for wiping away sweat, which would otherwise clog your pores and a towel stops you from touching your face as much. When you’re using your towel to touch your face you prevent touching your face with your dirty hands. While you are working out you’ll be triggering hormones and causing changes to your body internally and externally. Make sure that you compliment these changes with proper nutrition and hydration. A diet for someone who’s working out should consist of water, lean proteins, vegetables and less sugar. Sweat, dirt, dead skin, makeup, and bacteria are going to be filling up your pores once you start hitting the gym. Make sure that you are exfoliating properly to get rid of that pimple causing debris that would otherwise sit in your pores. 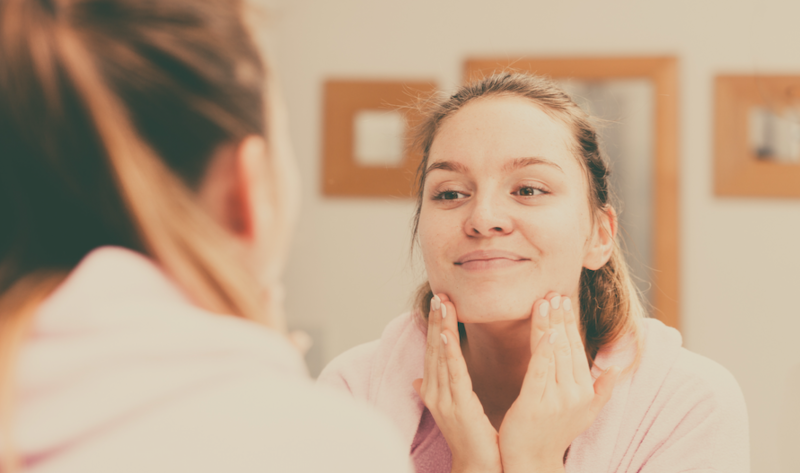 In fact, if you’ve read any of our other blogs you’ll know that exfoliating is a great part of a person’s morning routine. Don’t give up on your workout routine, especially because of a pimple here and there. 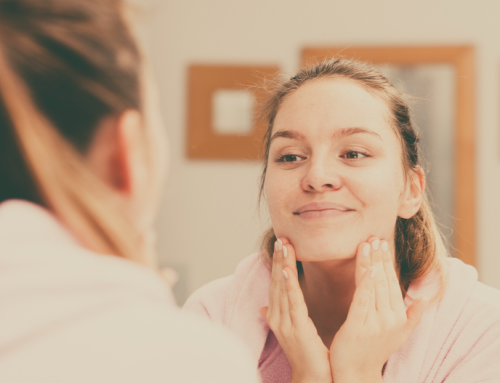 The long-term benefits will out-weigh the small breakout you get and if you stick to these steps you’ll have the best chance of not getting any pimples at all.